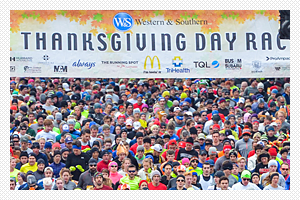 2018 W&S Thanksgiving Day 10K Run & Walk Newsletter #1 - RUN that by ME - Hot Sale on a Cool Race! 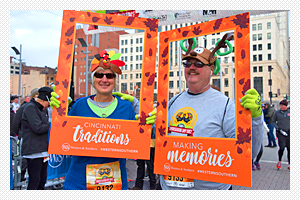 We Just Love Thanksgiving Day Morning in Cincinnati! You can’t buy happiness, but you can come close! 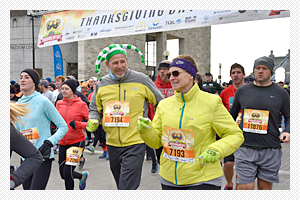 We are having a hot sale on registration for you and the whole family, and 40% off our new, high-tech quarter zip pullover! Get excited! There will be plenty of freebies, including our new hat designed by internationally renowned designer Wendy Bentley. There will also be free Tide PODS®, gift cards and much more — which we are working on right now. Send your other great ideas for consideration - contact us. The 10k run/walk will benefit many local charitable grants. Packet pickup will be at JackRabbit O'Bryonville (formerly The Running Spot). There will be lots of free pop-up events like Pop-Up Yoga for Runners & Walkers on Sept. 14. 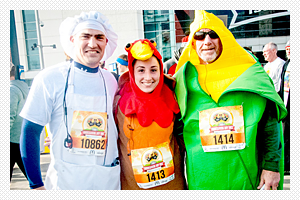 You and your family will have some healthy fun together — the turkey can wait! Did someone say, Thanksgiving? Yes, we did. 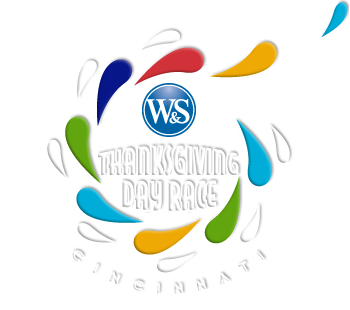 Get your turkeys in a row, find your friends and family, and register fast (like you run)! How can you prevent common running injuries? Stress fracture. This is a small crack in a bone that causes pain and discomfort. “We often see stress fractures when starting a new activity or changing the intensity of workouts like going from a 5k to half- marathon training,” said Dixon. Shin splint. This is pain in the front or inside of the lower leg along the shinbone (tibia) that can occur after changing your workout, such as running longer distances or increasing the number of weekdays you run or train. “A good stretching/flexibility program and icing can be help. Often runners will wear shin sleeves to help with the pain,” said Dixon. Achilles tendonitis. Repetitive stress to the tendon, too much distance in your running routine or tight calf muscles causes this pain. Good flexibility is paramount to prevention and treatment of Achilles tendon pain. Muscle pulls. This is a small tear in your muscle, also called a muscle strain. It's often caused by overstretching a muscle. Plantar fasciitis. This is an inflammation of the thick band of tissue in the bottom of the foot that extends from the heel to the toes. The pain is worse in the morning and can feel like a heel spur. “Having tight Achilles and calf muscles can cause this. Stretching for three minutes, three times a day can help,” said Dixon. What are three signs of a person with high achievement? Men and women of great achievement know what they want, and they care deeply about it. They stay focused, are gracious and appreciative, think happy thoughts, and carry on. Where do you spend most of your time and money? Write down your values or the things you really care about. In the face of situations where other people would lose heart, they take heart. It doesn’t take courage to succeed. It takes courage to keep going after you fail. True courage is not about never getting hit. True courage is about being knocked to your knees and standing back up. Everyone takes hits in life — missed opportunities, failure, and loss. It’s not a matter of if those things will happen. It’s a matter of how you respond to them when they happen. Great achievers are committed to what they do. Find someone who achieved greatness and you will find someone who put in countless hours and years of sacrifice, working beyond the point no one else would. They planned, prepared and worked (again and again and again). Work hours when no one else is working. Do something every day to work toward your goal. Why do people seem to enjoy running and walking so much? The trainers and coaches at Fifty West Brewing Co, who have great training groups, have some quotes from their groups. It makes me feel healthy. I take a deep breath knowing that I just did something to improve my health and well-being. It helps you live longer. Anything I can do to lengthen my time on this earth, surrounded by my family and friends, I will do. It is the one thing in my life, right now, that I improve at the more I do it. Running has taught me how to push beyond my limits, and it has proven to me that I can and will achieve my goals. It allows me to eat. And I LOVE to eat! It keeps me happy. I have never finished a run sad. It has made me more resilient. Because I DID is better than I WILL. It has allowed me to see Cincinnati in a whole new way. I thought I knew downtown and its surrounding cities pretty well. Happily, I was wrong. It is because of the people! 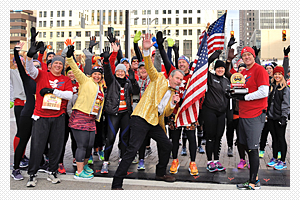 Runners and walkers are just great people. What are some skills that can help you with your career and your life? It is hard to hear how we could have done something better, but, if you can learn to set aside your emotions for a moment and focus on the information, there may be something there! “Of course, some of it will be valid and some of it invalid but let your brain decide that, not your ego,” said Roehr. “Learning to write well involves not just mastery of grammar but the ability to express your thoughts in a clear manner in many situations from emails to presentations, meetings, thank you notes and interviews,” said John Barrett, CEO of Western & Southern. Saying no when needed can save you a lot of time, confusion, guilt, attachment, commitments and stress. You need to possess qualities of a team player to work in a culturally diverse environment and with people of different thinking.